The 8ft wide Alaria TI island bed model redefines perfection through stunning design and meticulous attention to detail. 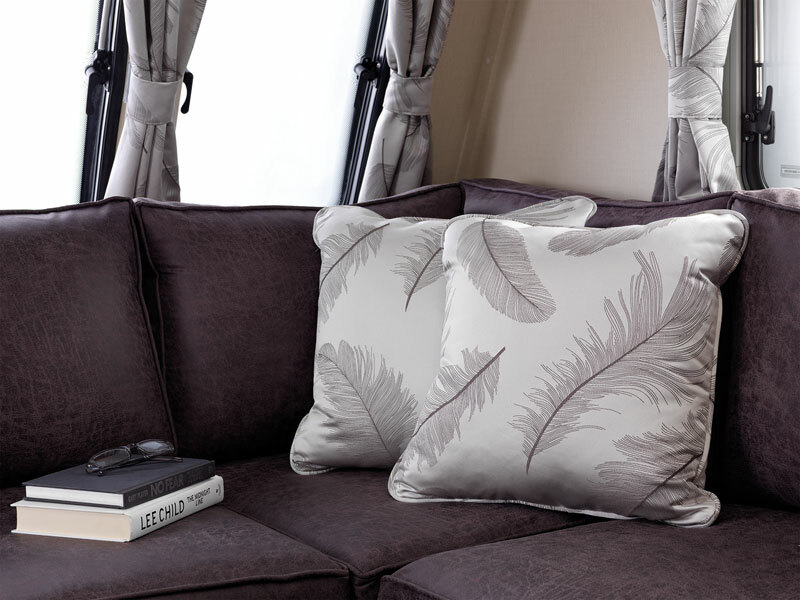 The 2019 Alaria range boasts an elegant and stylish ambience inside and out. 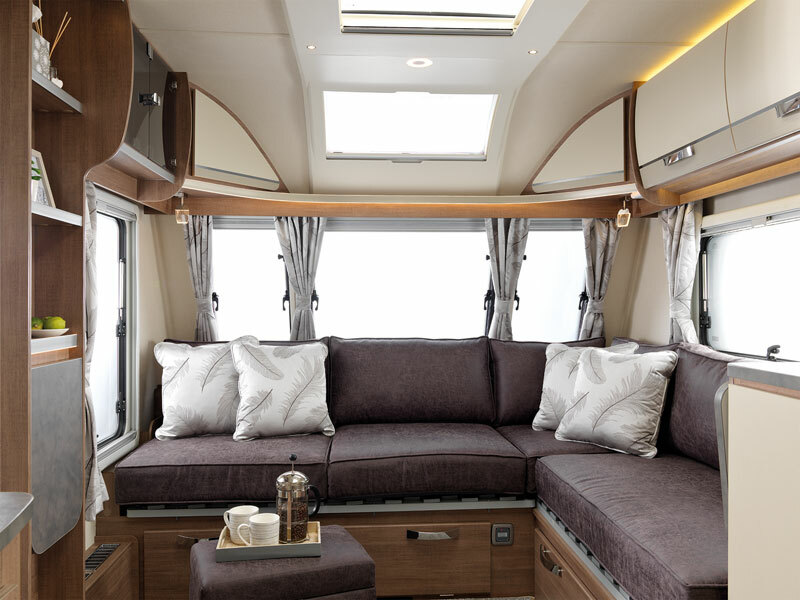 The eye-catching restyled front gas locker design, dazzling new decals and a new Lippert self-levelling system, the Alaria is an indulgent top of the range caravan. It also features a fully integrated sunroof, 5-spoke alloy wheels and LED illuminated front grab handles - practical and classy. 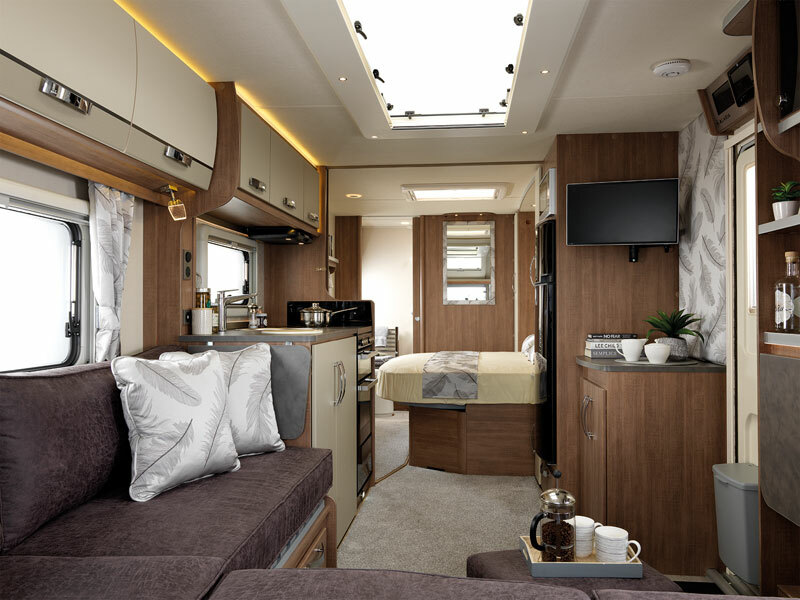 When you step inside the Alaria range, you will be bowled over by the spacious L-shape lounge area that comes in a choice of fabrics, Stamford and Nevada, to suit your taste. 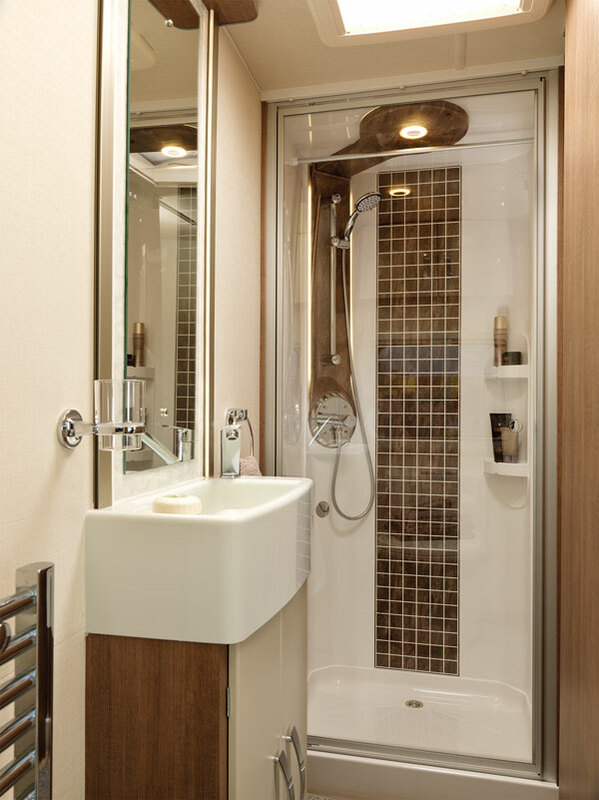 The lockers are crafted in ‘Timeo Pine’ woodgrain and, for extra security, there are new positive locks on all the top lockers. 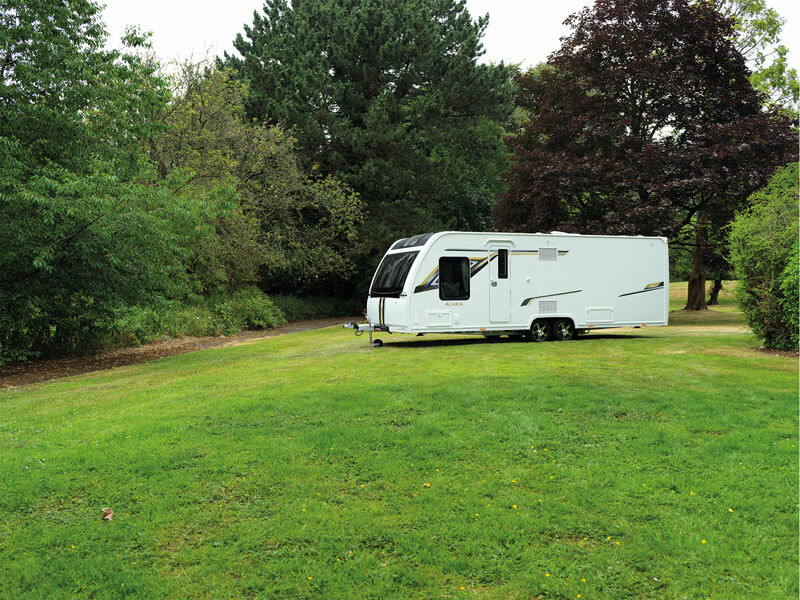 In the well-equipped spacious kitchen for this season features the new Thetford K series oven with 4 burner hob. For premium safety, it has a safety lid shut off, light and for extra cooking space, 2 oven shelves, perfect for cooking a culinary feast. 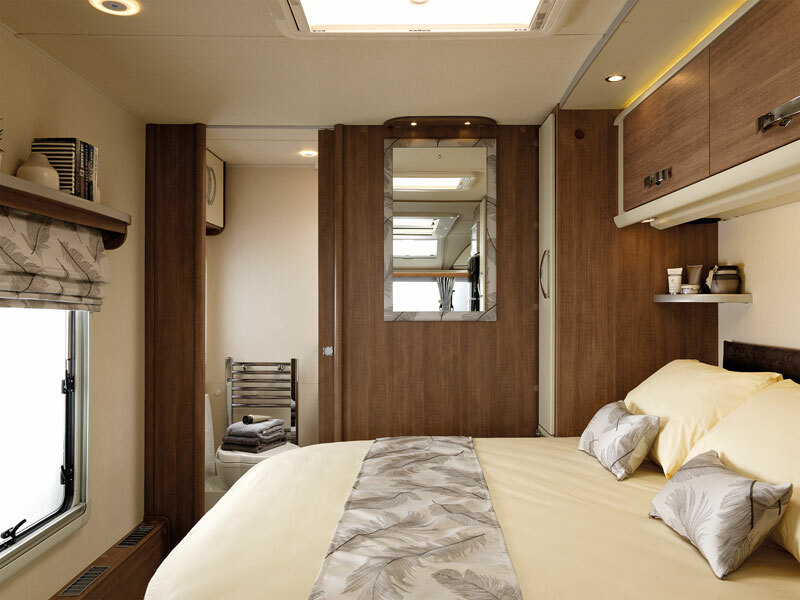 For the ultimate in relaxation on your holiday, the Alaria comes with a DAB radio and CD/MP3 player and for a perfect night’s sleep we have designed our island beds at 5ft wide. The technology in the caravan has been modernised thanks to the new Alaria ‘Assist’ control panel with ultra-user-friendly functionality. Control and programme your heating and water, all at the touch of a button, plus have peace of mind with the pre-installed Thatcham Category 6 approved pro-active tracker. 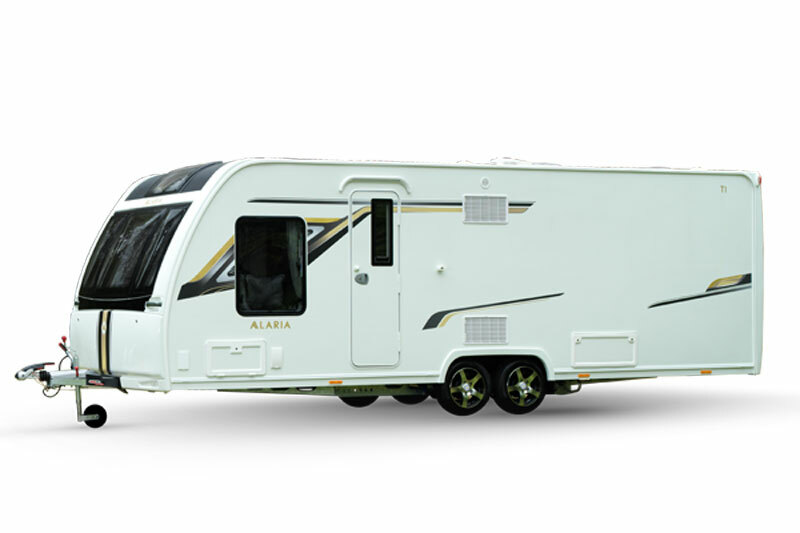 If you are interested in learning more about the Alaria TI, please fill in your details below and we'll get back to you with more information. Fields marekd with an asterisk (*) are required. What do you think about the superb 2019 Lunar Alaria TI?